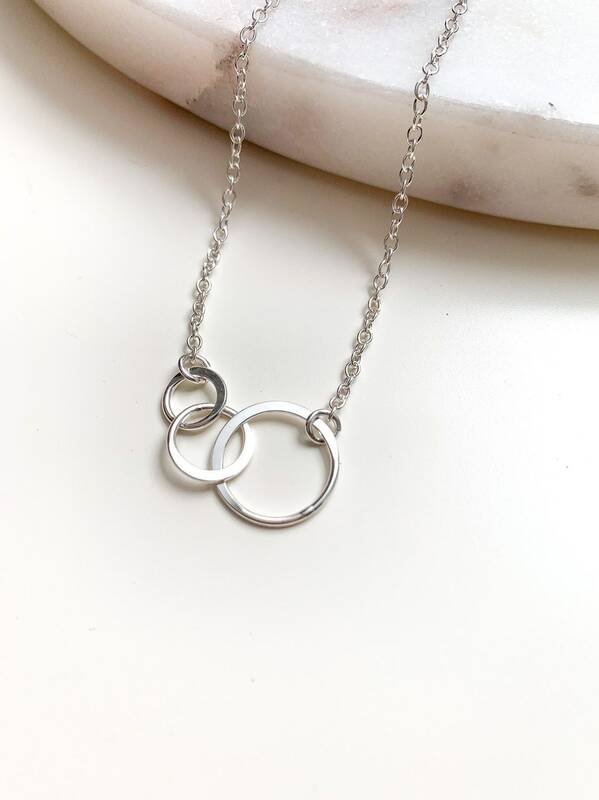 The Triple Circle Link necklace is simple and great for wearing alone or layering with other necklaces. 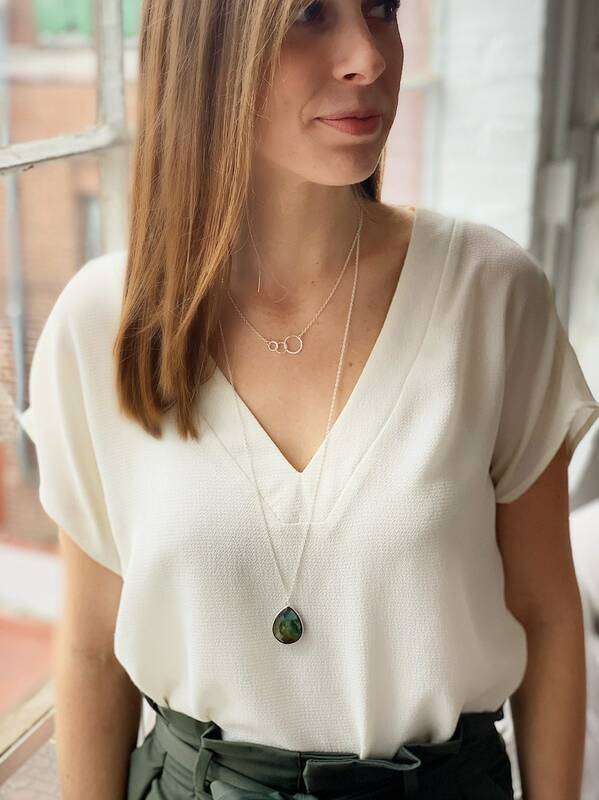 Three sterling silver or 24k gold vermeil rings are connected and form into a link pendant. 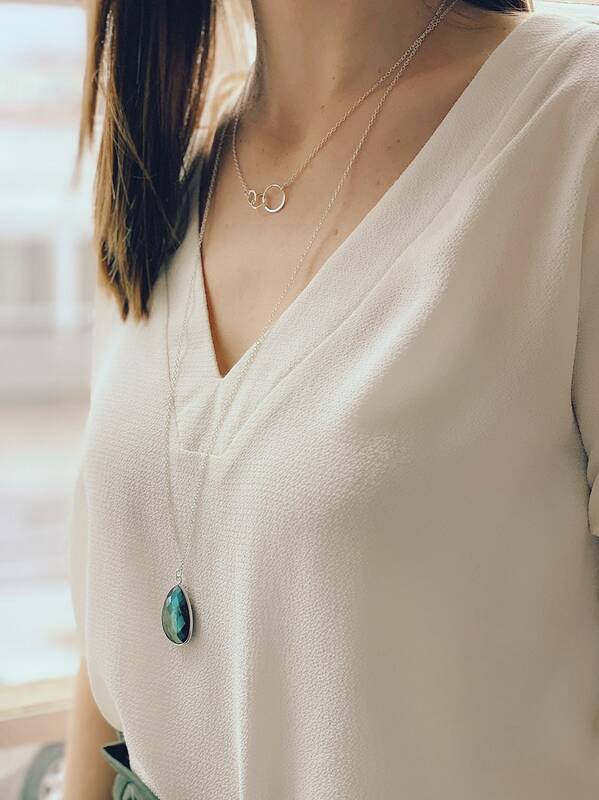 The link necklace can represent a mama and two children, three children, mother and daughters, sisters, best friends... the possibilities are endless! The triple links are connected on each side with a dainty cable chain. 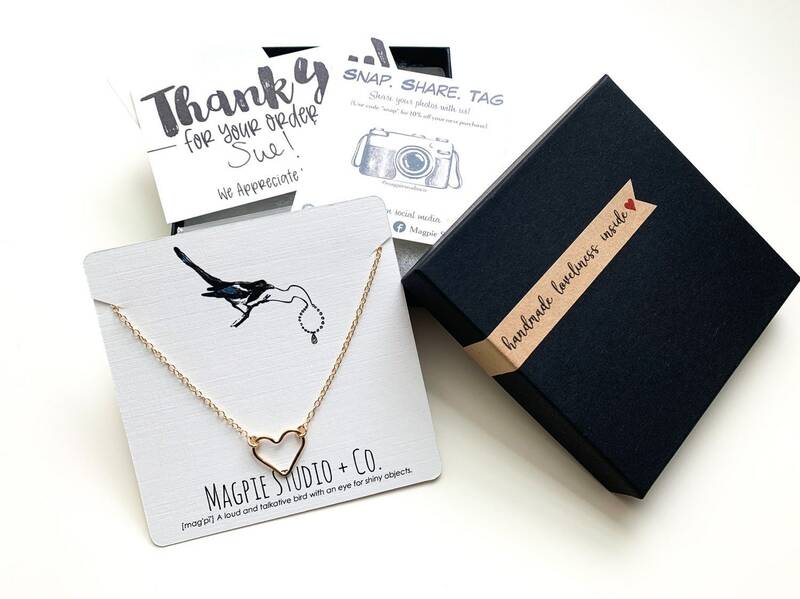 **Our Triple Link Necklace will come presented with a uniquely designed necklace card. 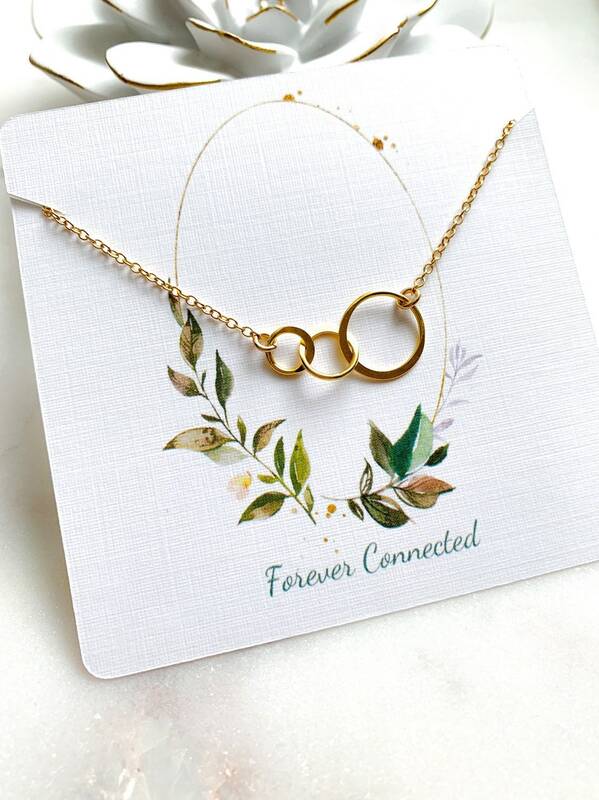 You can choose from two designs: Sisters are Forever Friends OR Forever Connected. *Default card will be Forever Connected if no preference is noted. 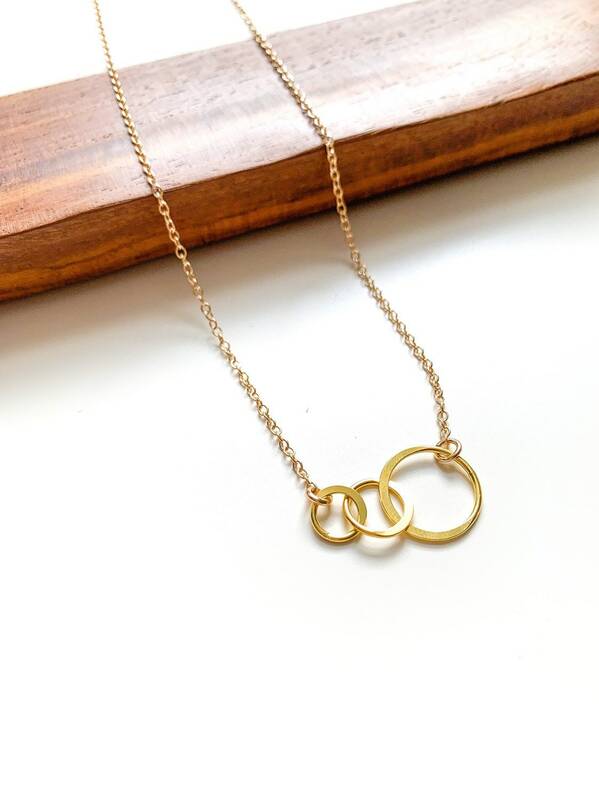 ► Slightly hammered gold filled or sterling silver linked circles that are soldered together. ► Rings measure 25mm X 13.5mm. ► Authenticity stamp on the back of link. 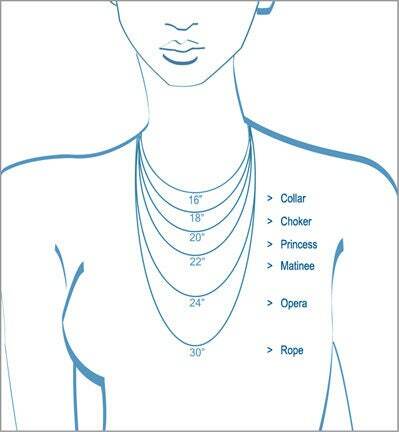 ►Note: The model is wearing an 17" chain. 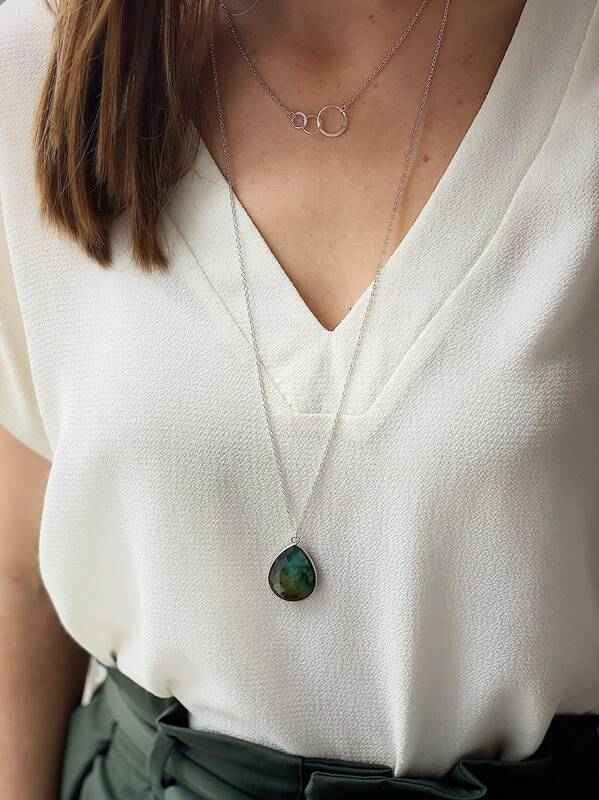 Model is also wearing the Teardrop Gemstone Necklace.